Welcome to the Quick Quotes Blog, Cathy here hosting the blog today. I have a simple card to share with you using Quick Quotes Chipboard and their gorgeous Sheer Joy collection. 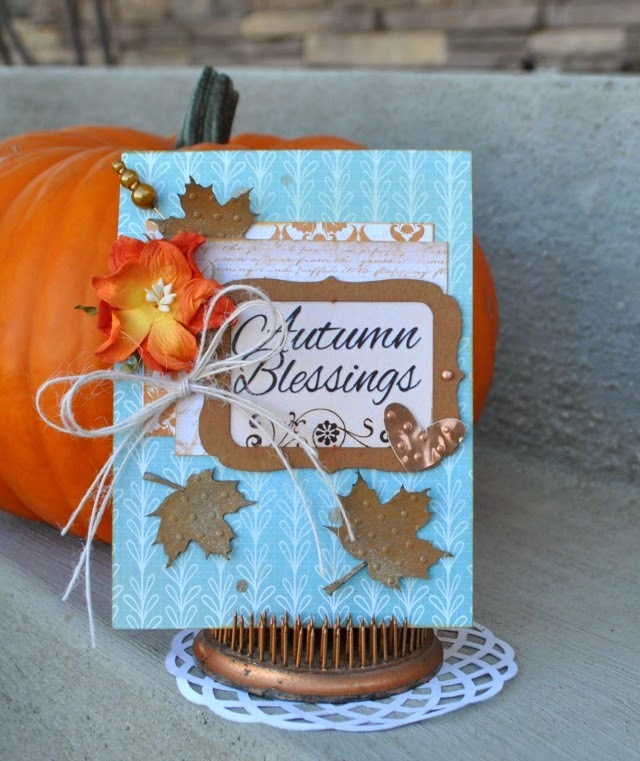 I love Quick Quotes chipboard, it takes color so easily and is also easy to emboss. I inked the frame and leaves with three Powder Puff Chalking Inks....Rusty Nail, Orange Slice and Green with Envy. After the inks dried, I add a bit of Gold Shimmer Spray to the leaves and ran them through my Ebosser. I love the texture and shimmer! Fun!